One evening I thumbed through our DVD stash at the cottage and happily stumbled upon Chocolat (love Juliette Binoche!). We like to keep movies stored at La Maisonnette that were filmed in Beynac--it's so fun to watch them when you are actually there! Chocolat's river scenes were all filmed in the area and they even used the gabarres/boats too (think: Johnny Depp and the "river rats"). And that little road you see heading upwards is the road pictured in the opening scene of Juliette and her daughter walking in the snow donning red capes. Anyway, it had been months since I sat down and watched a movie and because I was on vacation, I completely indulged. I mean that literally. Earlier in the afternoon my husband was heading out on an errand and I asked him to bring me back a box of chocolates from the local patisserie. Because watching Chocolat ALWAYS makes me want to eat chocolate (does it have the same effect on you?). I have to say it was absolutely delightful to munch on little seashell chocolates while swooning over Juliette Binoche's own cacao confections. Here are my favorite foodie movies--as in movies that make me want to eat a really good meal. What are your favorites? Hello, I like "No Reservations"; I believe it is a remake of the movie "Mostly Martha" and I also enjoy It's Complicated"; although it is not primarily foodie movie, the kitchen, the store/food styling is inspirational. I'm with Tam. "Big Night", especially the final scene (http://www.youtube.com/watch?v=oerP7FRMWa8) so simple, so beautiful, and says everything about the love between two brothers. Warning if you have not seen it ... lots of F-bombs. Big Night! That is THE best food movie! I have viewed the movies listed and Eat, Drink, Man, Women is my favorite! I'll have to give 'Big Night' a try. Like the others on your list too. Alright, it looks like Big Night might be next up...I'll have to look into the rating and such based on your tip Angela. It sounds like Italian food might be on the menu that night! Veronika, thanks for the note and the tips as well! I've heard the same thing about No Reservations--that it's a remake of Mostly Martha. I'm hungry again just thinking about these movies! I am obsessed with foodie films and love Juliette Binoche. I was about to recommend Mostly Martha which is the original version of No Reservations but I saw you had it on your list. I love the movie Like Water for Chocolate (Spanish: Como agua para chocolate). And by the way, the chocolat you ate in France is called Des fritures. It's sold around Easter, always the same shapes, soooo good with its praline inside. Christelle, so good to know! I've never been in France during the Easter holiday and it was so fun to observe the traditions associated with the holiday in France. And yes, the prailine was delicious! Well, I didn't like Julie and Julia BUT thinking about it did remind me of a foodie book I love: My Life in France by Julia Child. Makes me want to just dig my heels in and cook all day. I can't wait to watch these others! Chocolat is one of my favorite movies and to think you were able to experience the scenery! And Babette's Feast... oh my mouth is watering remembering that. Unfortunately my husband wishes I could cook that well!! 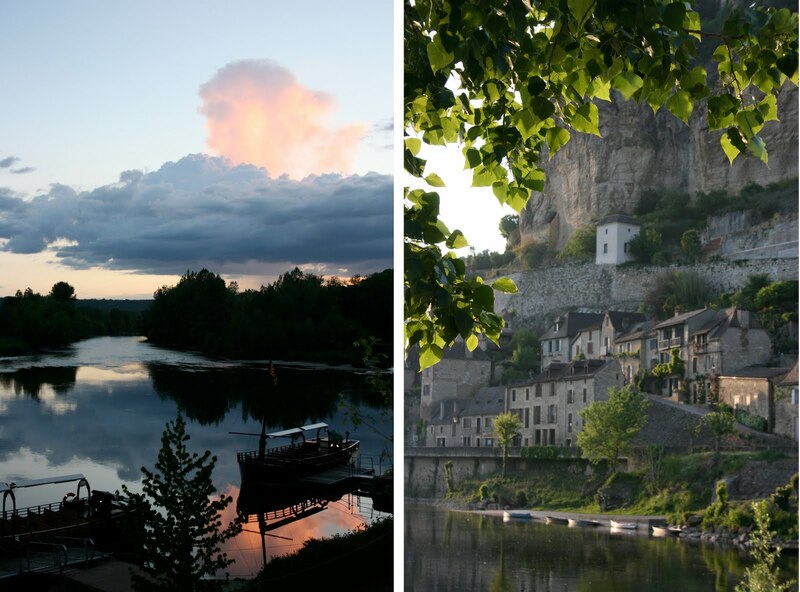 Even though it's not a food movie, the ultimate movie to showcase Beynac and the Dordogne has to be 'Everafter' wtih Drew Barrymore and Doug Ray Scott. Oh, I love Chocolat and Eat Drink Man Woman both. It's been awhile...so I think I know what my weekend plans are. May I suggest Bread and Tulips? Set in Italy, many beautiful shots of Venice and the story takes all of it's interesting turns over food or flowers! oh yes, the dinner scene in Big Night is so great. i can watch Mostly Martha over and over. love it. what is a good foodie movie list without Ratatouille?? Martha, I love that book too. In fact I read it during the renovation and left it at the cottage for others to enjoy. It's lovely and I feel like I understand her more now. So happy to have that memoir! CJ, we also keep a copy of Everafter at the cottage as well. It's not award-winning but I love seeing Beynac throughout! Jackiewd, I think I've seen that flick as well...a lady leaves her husband after he has an affair and she heads to Italy? I love the movie Waitress with Keri Russell. SUCH a cute movie and always makes me want to bake a delicious marshmallow mermaid pie afterwards...and I'm not even a big pie person! I know you and I know the hard times you've been through, but sometimes when I look at the gorgeous pictures on your site, I think you must live this charmed life. :) The pictures are lovely, really. Tiffany, I'll have to look into that one too. I love Keri Russell! I love Tortilla Soup. It is a feel-good movie, filled with big delicous-looking meals. About a single father and his 3 grown daughters. Oh, I just loved Eat Drink Man Woman. Had to watch it twice, and totally forgot until I read your post. I'm going to watch it a third time. Thanks. In my quest to watch all Foodie Movies....I discovered Le Grande Bouffe. It is bizarre and at times offensive, but a good flick none the same. You are SUCH a talented photographer Steph. I saw these pictures the other day and didn't realize you took them. They are beautiful. Chocolat is definitely my favorite but Ratatouill is also a fun one! I'l have to watch Big Night now. Chocolat is definitely my favorite but Ratatouille is also a fun one! I'l have to watch Big Night now.